Or, thinking ahead to Easter. I’m a little premature. Easter isn’t until April, and I’ll be knee deep in the mud of my Place quarter. I haven’t celebrated Easter in any meaningful way in a long time. I dislike pastels and cartoon bunnies and cheap chocolate, so the mainstream/commercial parts of this holiday don’t interest me at all. I don’t want to start that with my kids, either. There’s enough sugar and cartoon-y fun in our lives as it is. But I do love the resurrection story. 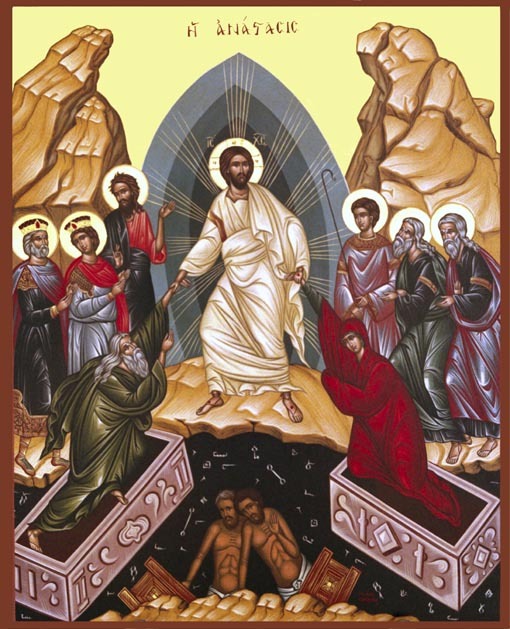 Even though we are not a Christian household and even though Jesus is not my god, I love the power of the resurrection story. In a world in which horrible things happen every day, and some days reading the news (heck, just reading the headlines) can overwhelm me, knowing that love wins, hope springs eternal, and one person fully aligned with the divine can move mountains is a powerful antidote to the weary, cynical and depressing elements in life. Honoring the Christian Easter story is something I’d like to incorporate into my family life. Last week, Star Foster over at Patheos Pagan Portal posted a great article on Mary Magdalene, Easter and eggs. She reminded of the Eastern Orthodox tradition of dying eggs red, the connection to Mary Magdalene (not just Reformed Harlot- an inaccurate conflation of texts, but Apostle to the Apostles! ), and perhaps the connection with older practices. 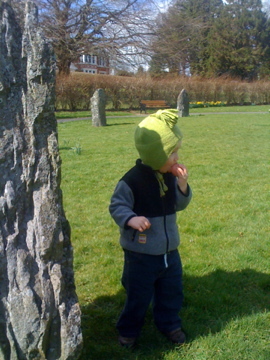 When I was living in Wales there was a gorsedd park in town, a park with a ring of stones. It wasn’t ancient; it was put there by a modern Druid group I believe, in keeping with Welsh tradition, when the park was made. But I thought it was really cool anyway. Our first Easter there, my son was 22 months old, and we walked down on a bright sunny morning and ‘hid’ eggs in the park for him. It was a fun, joyous occasion. But we didn’t repeat it, instead going elsewhere in the following years. This year we have an invitation to go with another family to their Easter dinner and egg hunt. I think I’ll make a batch of red eggs to add in to the mix. I can tell the story of Mary Magdalene, bold woman who bore the news of Christ’s resurrection, and we can celebrate that every year the sun returns and new life bursts forth, that every day the sun rises, that hope always springs up, and that it’s our job to carry that joy into the world. After all, we save ourselves and each other. This entry was posted in Uncategorized and tagged Christianity, family life, holidays, Jesus, Orthodoxy. Bookmark the permalink. Lovely, Niki, that whold theme of death and rebirth, which sits well with winter solstice as well as spring equinox. St Matthew Passion by JS Bach tells the story well for me, dramatic and interesting, the characters are so well drawn, plus the inner reflections of the chorales. Funnily enough, our wedding anniversary (28 years) is on 7th April. Love is come again, like grass that springeth green! There are a lot of great hymns. The words in that one are particularly…. ecumenical!